"Sichuan made" brand new material, reached a number of cooperation agreements. Fair, my company through in-kind, samples, models, pictures, text and other means to showcase the results of the development of new materials industry of Sichuan, has attracted a large number of domestic and foreign exhibitors, traders and research institutes to visit, negotiate, purchase, letter Miao Wei Minister to visit exhibition department visits. Nonferrous Metal Material Co., Ltd. Sichuan per TEDA show large size aluminum foam samples caused Miao Wei Minister's interest. Understanding of the company's R & D aluminum foam geometry is the world's largest aluminum and aluminum foam foam applications, market prospects and the technical performance indicators, Miao Wei Minister stressed that in the development of new materials industry should adhere to the five principles , that is, "insisted the market-oriented, strengthening the innovation-driven, highlighting development priorities, strengthen coordination and push forward, focusing on energy saving." 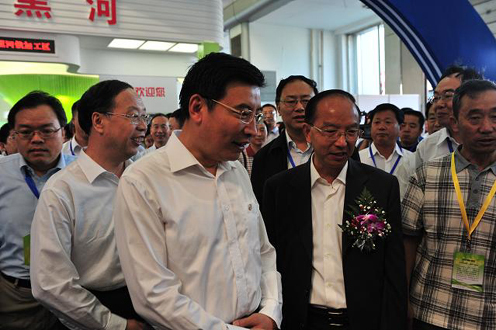 Subsequently, the official media to the new expo "'Guangyuan create' new material 'shook' the new expo" in the title of the exhibition in Sichuan were widely reported. In the brand new material started at the same time, also reached a number of companies in Sichuan cooperation agreement. According to current statistics, the per TEDA has signed with the customer supply agreements 120,000 square meters, the first batch of 100 m2 experimental test on the sample matrix has been shipped. Shanghai, a foam-type material the company hopes to cooperate with the company of $ TEDA, Jinfu Real Estate Development Co., Ltd., Hebei and Sichuan yuan interested in TEDA, Yang Pan Panzhihua vanadium and titanium to cooperate.